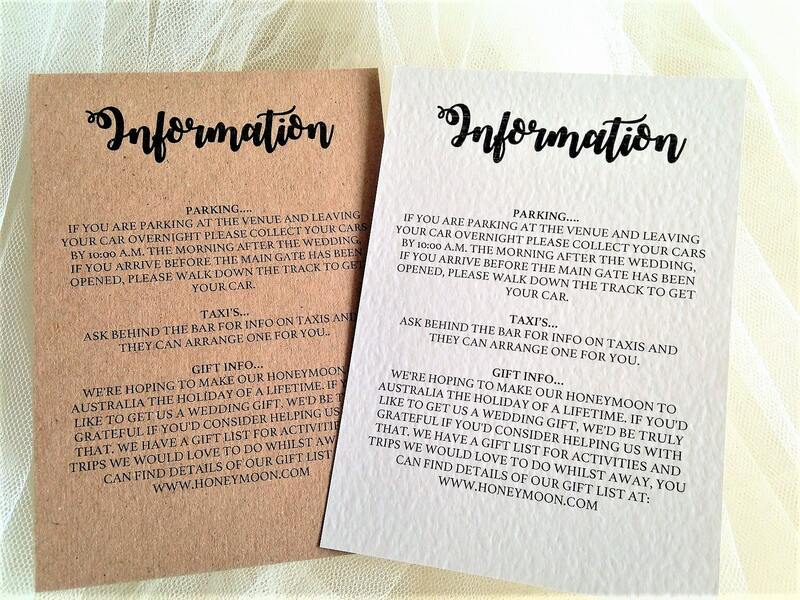 Bride and Grooms Names information cards match our Bride and Grooms Names Wedding Invitations and are available on either white or ivory hammered card (270gms) or our eco-friendly brown kraft card (280gsm). 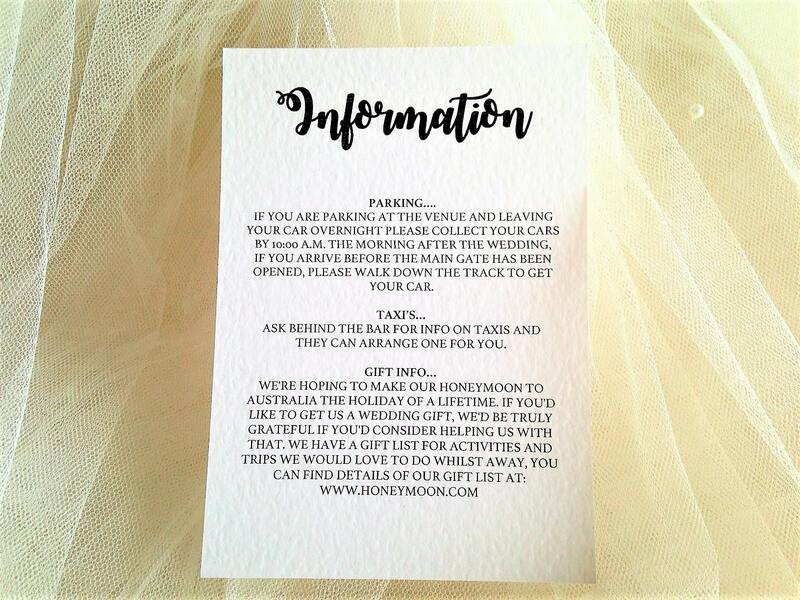 The cards and also be used to provide your guest with information such as venue directions, accommodation recommendations, taxi and travel information. 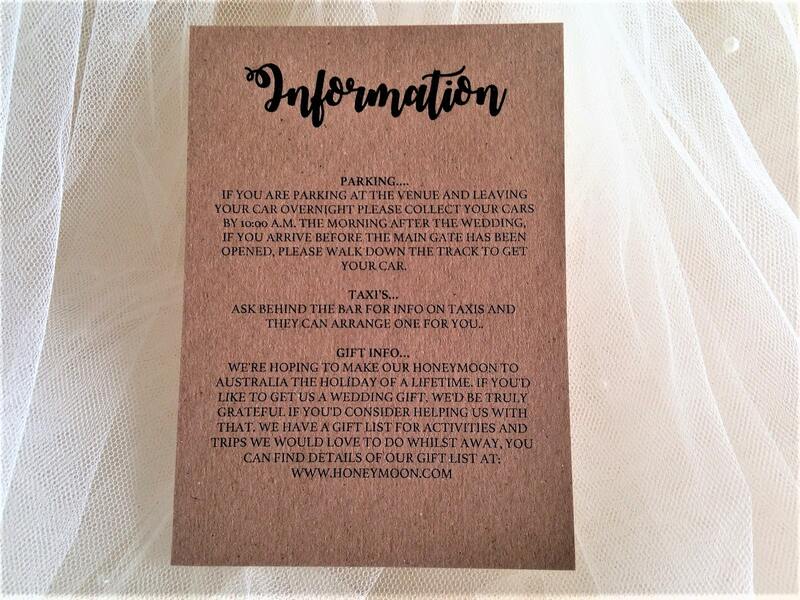 Gift Wish Cards and guest Information Cards are perfect for weddings or any other special occasion for additional information you may wish to include for your guests. We have short lead times, our printing is done in house. 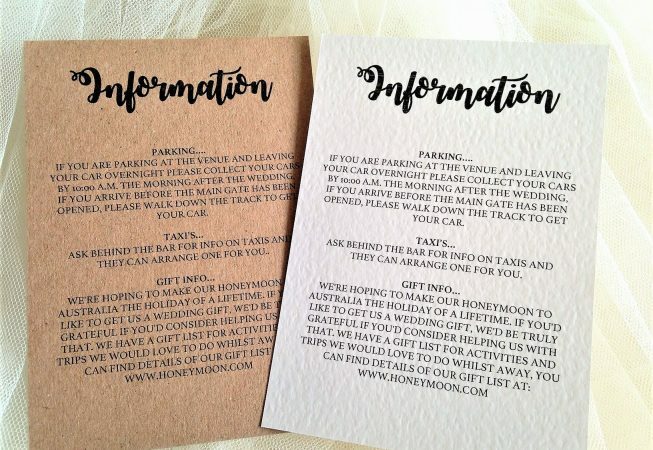 Information cards can be ordered and supplied within a short timescale, usually 3-4 days for quick delivery in the UK. 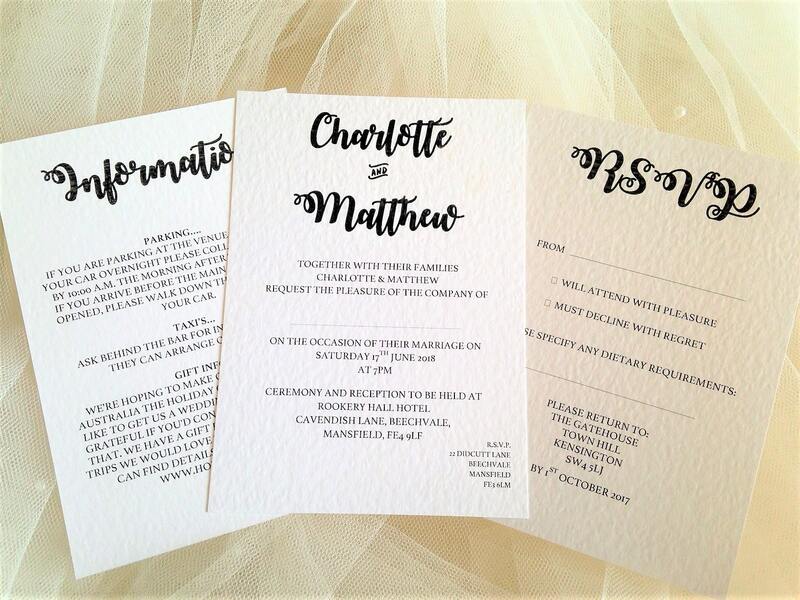 All personalised printing in a font style and colour of your choice.